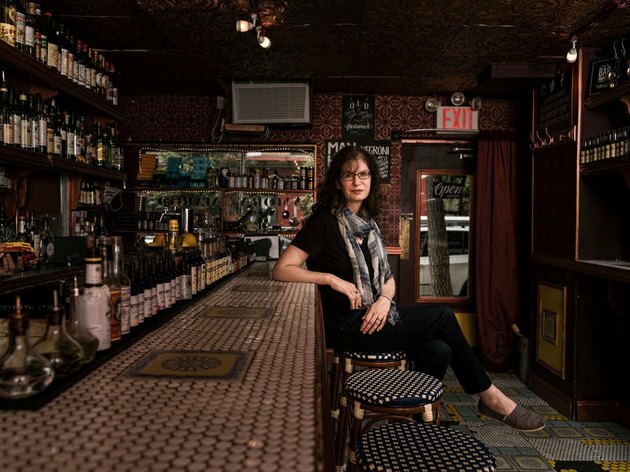 Kara Newman, the author of "Nightcap," at the East Village bar Amor y Amargo. When the drinks writer Kara Newman began work on her new book, "Nightcap," she first had to address a central issue: Just what exactly is a nightcap, anyway? But that explains only the timing. What type of drink should it be? Can anything be a nightcap? What is the drink's larger social function? The more questions Ms. Newman asked of bartenders, the less certain she felt. "No one ever said, 'This isn't a nightcap,'" she recalled. "Everyone is open to whatever it can be." Ms. Newman does not believe that today's drinkers think much in terms of nightcaps; it was partly for that reason that she thought it would be an interesting school of drink to examine. "It just seems like an unsung category," she said. The Reverse Manhattan or Berretto Da Notte, a nightcap created by Ms. Newman. "They're just warming spirits and have these dessertlike flavors, caramel and vanilla and spice," said Ms. Newman, the spirits editor at Wine Enthusiast. "It's comforting and pleasing and calming. And, personally, I think it's something that is hard to drink quickly." Still, she is not opposed to a glass of smoky mezcal, if that's what someone prefers. 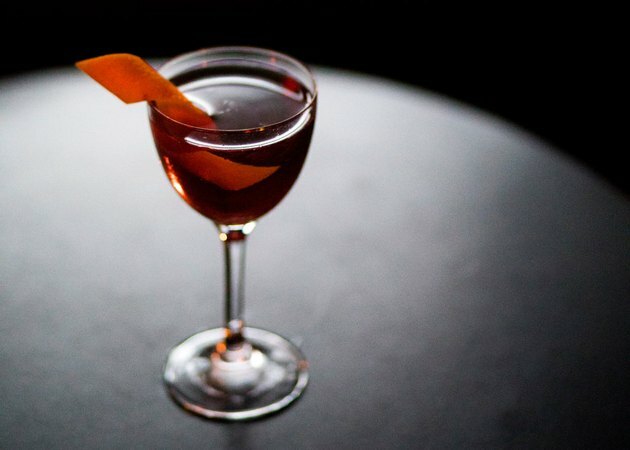 And the Negroni, an aperitif cocktail typically drunk at the start of a night or before a meal, is also fair game in her opinion — though instead, she would recommend a Boulevardier, a Negroni made with bourbon instead of gin. What a nightcap is meant to accomplish is an equally complex question. It's not just about ending the evening; it's more about how you want the evening to end. So she has divided the recipes in the book (to be published on Oct. 16) into four categories: "To Send You Off to Sleep," which includes lighter drinks using fortified wines and vermouth; "To Keep the Conversation Going," composed of more strongly spirited cocktails; "To Aid Digestion," with drinks that contain stomach-settling amari; and "To Sweeten the Deal," with dessert drinks like the grasshopper and the brandy Alexander. But sometimes an intention is all that it takes for a drink to be crowned a nightcap. Though Ms. Newman said she didn't think a shooter could ever be a nightcap, she breaks that rule in her book by including Paper Plane Shots. The recipe takes the Paper Plane, a modern-classic cocktail (bourbon, Aperol, Amaro Nonino and lemon juice), and divides it into four one-ounce shot glasses. She watched one night as a bartender served it as a customer send-off. "It violates all the rules," she said. "It's a sour. It has an aperitivo in it. It's a shot." But the nightcap, she explained, isn't so much a category as an occasion. "Here you had four people. They toasted one another, had this civilized moment and went on their merry way. It felt like a punctuation." Ms. Newman's preferred nightcap? A simple pour of Armagnac. When it was suggested that there's a world of difference between a glass of Armagnac and Paper Plane shots, she shrugged. "There's more than one kind of night," she said.